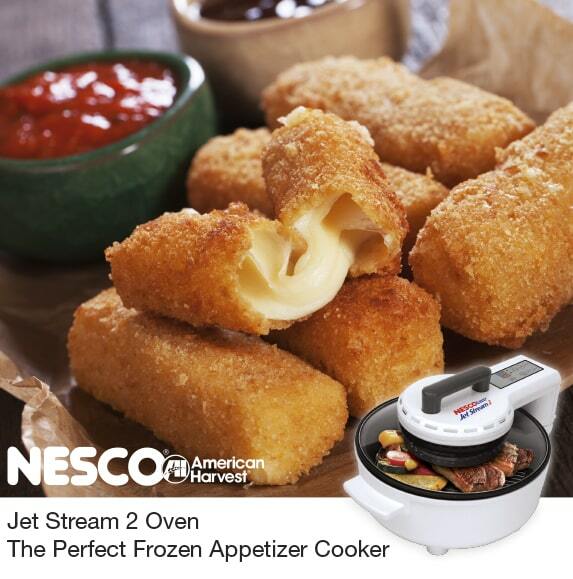 The NESCO/American Harvest Jet Stream Oven is perfect for making your favorite frozen appetizers. Enjoy everything from crispy egg rolls and mozzarella sticks, to breaded mushrooms and onion rings. Cooking in your Jet Steam Oven is convenient and saves energy over a large conventional oven. Let us know some of your favorite frozen appetizers.